Since 2005, Thompson Dean has served as cofounding CEO of Avista Capital Partners, a New York City-based private equity firm focused on investments in growth-oriented health care companies. Some of Thompson Dean and Avista's recent business activities include acquiring the extended topicals and dermatology unit of G&W Laboratories. Headquartered in South Plainfield, New Jersey, G&W Laboratories leverages more than 100 years of experience to provide people with a variety of high-quality products. The company's portfolio consists of approximately three dozen topical dermatology products, such as creams, ointments, liquids, and gels. In partnering with G&W Dermatology, Avista named Walt Kaczmarek, a business executive with over 25 years of pharmaceutical industry experience, to serve as CEO. He is working with G&W's established team to oversee existing and pipeline products as well as the company's research and development and manufacturing capabilities. Avista's acquisition of G&W Dermatology does not affect G&W Laboratories' other business activities, including manufacturing operations in Pennsylvania and North Carolina. 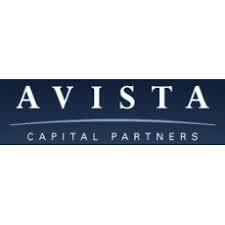 The Avista portfolio currently comprises over $6 billion of investments in approximately 30 health-oriented businesses. The CEO of Avista Capital Partners, Thompson Dean assists investors, management teams, and owners in innovative financial opportunities, with a focus on investing in leading healthcare companies. Thompson Dean contributes to a number of charities, including serving as a trustee of the Choate Rosemary Hall. Choate Rosemary Hall provides a unique educational experience for students: the opportunity to participate in a rigorous academic curriculum while living alongside teachers in a residential setting. The school traces its roots to 1890, when Mary Atwater Choate founded Rosemary Hall as an all-girls institution. Six years later, her husband, Judge William G. Choate, launched his own educational institution for boys, The Choate School. The two schools shared the same property in Wallingford, Connecticut until 1900, when Rosemary Hall relocated to Greenwich. The move lasted 70 years, but Rosemary Hall eventually returned to its original home in Wallingford. In 1974, Rosemary Hall and The Choate School merged to form the institution it is today. Since the merger, the school has established multiple facilities, including the Kohler Environmental Center, the Worthington Johnson Athletic Center, and St. John Hall. Among its signature academic programs, Choate Rosemary Hall offers its advanced robotics concentration, environmental immersion program, the John F. Kennedy Program in Government and Public Service, and more. Today, the school maintains its commitment to developing an innovative curriculum for generations to come. An experienced New York City investment professional, Thompson Dean has served as chief executive officer of Avista Capital Partners since 2005. Outside of the professional arena, Thompson Dean serves as a committee member with multiple community organizations including the Boys Club of New York. 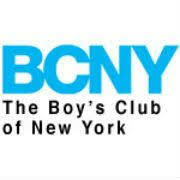 Supporting three regional clubhouses and a variety of programs to benefit boys and young men of seven to 21 years of age, the Boys Club of New York (BCNY) stresses the core values of integrity, community, wellness, and efficacy. These values serve as the foundation for all BCNY camping experiences including the Sleepaway Camp at Harriman State Park. Located just 30 miles north of New York City, Harriman State Park gives visitors the opportunity to experience adventurous activities that range from hiking to canoeing. Concentrating on community building and self-discovery in addition to wilderness exploration, the BCNY Sleepaway Camp offers a convenient and exciting opportunity for area youth to explore nature and camp overnight. As the CEO of Avista Capital Partners, Thompson Dean draws on experience gained in leadership positions at Goldman Sachs and DLJ Merchant Banking Partners. At Avista, Thompson Dean and his partners employ a middle-market control buyout strategy of creating value through management enhancements, regulatory understanding, and greater financing options. Since its inception more than a decade ago, Avista Capital Partners has focused on investing in companies in the health care sector with substantial potential for added value. One of these companies is Zest Dental Solutions, a Carlsbad, California-based company in which Avista invested in 2013. During its partnership with Avista, Zest emerged as one of the premier international providers of innovative dental restoration products and full-arch treatment solutions. In February 2018, Avista Capital Partners announced that it would sell Zest to funds controlled by the private-equity firm BC Partners for undisclosed terms. Avista was represented in the transaction by the global legal firm Ropes & Gray, which was led by a team that included finance partner Sunil Savkar, private equity partners David Blittner and Bob Rivollier, tax partner Leo Arnaboldi, and benefits partner Alexandra Alperovich. Based in New York, New York, Thompson Dean leads Avista Capital Partners as co-founder and chief executive officer. In this role, Thompson Dean pursues transformative acquisition strategies that include growth-focused buyouts. In November 2017, Avista reached an agreement with Express Scripts Holding Company for the acquisition of its wholly-owned subsidiary United BioSource (UBC). In business for 15 years, UBC has maintained a leading presence in patient support and pharmaceutical services, with an emphasis on making medical products and drugs more accessible and safe. With 13 locations across North America and Europe, the Pennsylvania-based firm excels in generating and evaluating real-world evidence that informs the life cycles of medical products. Executives with both companies described the acquisition as an ideal partnership that will help the firms thrive in a dynamic and expanding industry, all while improving patient care. The companies’ combined health care sector expertise sets them on a path to enable more biopharmaceutical companies to accelerate therapy approvals, in the process expanding access to essential medications and therapies. A seasoned senior executive, Thompson Dean serves as managing partner and CEO of private equity firm Avista Capital Partners, which primarily invests in growing healthcare companies. He obtained his MBA at Harvard Business School, graduating with high distinction as a Baker Scholar. Thompson Dean earned his BA from the University of Virginia (UV), where he was also an Echols Scholar. UV’s Echols Scholars Program is exclusively reserved for students of the College of Arts and Sciences (CAS). As the office of admissions endeavors to have a qualitative and holistic evaluation of applicants, there are no strict quantitative measures such as rank in class or SAT/ACT combined score that will guarantee admission to the program. In choosing successful applicants, the office considers intellectual leadership, the potential to tackle complex issues, academic excellence, and intellectual risk-taking. Echols Scholars are exempt from all competency and area requirements within CAS, are provided an official faculty advisor, and have priority registration within their class year. They also have designated campus housing for their first year, and may undertake the Echols Interdisciplinary Major. Although three small scholarships are available for the scholars, the honors program is not a merit or stipend scholarship. The program is grounded on the Jeffersonian model of critical thinking and freedom of inquiry. Since 2005, Thompson Dean has overseen Avista Capital Partners in New York as a co-CEO. In this capacity, Thompson Dean directs the Avista investment strategy, which focuses on middle-market companies in communications, industry, and health care. VWR International, which provides equipment and consumable supplies to research laboratories around the world, remains one of the firm’s portfolio companies. A global supplier of life sciences materials, Avantor recently signed an agreement to acquire VWR for $33.25 in cash per share of the company’s common stock. This figure reflects a total value of $6.4 billion. The acquisition builds upon the strengths of each company to create a new organization more capable of meeting the needs of biopharma and advanced technology clients around the world. The combined organization will be vertically integrated to serve education, research, and government institutions from initial inquiry through production. This marketplace remains one of the fastest growing in the world. Since its IPO, VWR has maintained strong growth patterns. Combining the company’s large breadth of products and strong distribution channels with Avantor’s industry-leading materials and solutions will result in an organization that can meet the demands of the growing life sciences sector. An investment executive with several decades of experience, Thompson Dean co-founded private equity firm Avista Capital Partners in 2005. The New York-based company leverages the experience of its operating executives and investment partners to pursue value-added acquisitions and assemble strong management teams to enhance growth and increase these firms' operating efficiencies. Prior to forming Avista, Thompson Dean was a managing partner with DLJ Merchant Banking Partners and was Chairman of their Investment Committees. A graduate of the University of Virginia, Mr. Dean was an Echols Scholar and received a bachelor of arts in economics and foreign affairs. He then earned a master of business administration with high distinction from Harvard Business School. Mr. Dean is a trustee of Choate Rosemary Hall, a college-preparatory boarding school located in Wallingford, Connecticut, as well as a former board member of the College Foundation of the University of Virginia. Mr. Dean currently serves on the boards of Acino Holdings and Zest Anchors. It’s All Power and Light: Fixture Family Unloads Park Ave. Condo for $16.5 M.